This Offer will finish at Midnight Sunday. If you have any questions about any of our products then give us a call on 01209 202949 Monday – Friday 8.30am – 5.30pm, send an email to sales@opieoils.co.uk or just ask us here! If you’re in need of oil advice and recommendations then please just ask, we are happy to help. You can ask us here or by PM, drop us an email to sales@opieoils.co.uk or just give us a call this afternoon, we are here till 5.30pm. 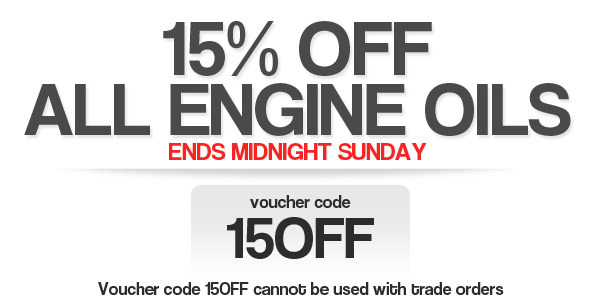 It's a great time to buy from Opie Oils, until midnight Sunday we are giving an additional 15% Off our already discounted prices on all engine oils with voucher code 15OFF.